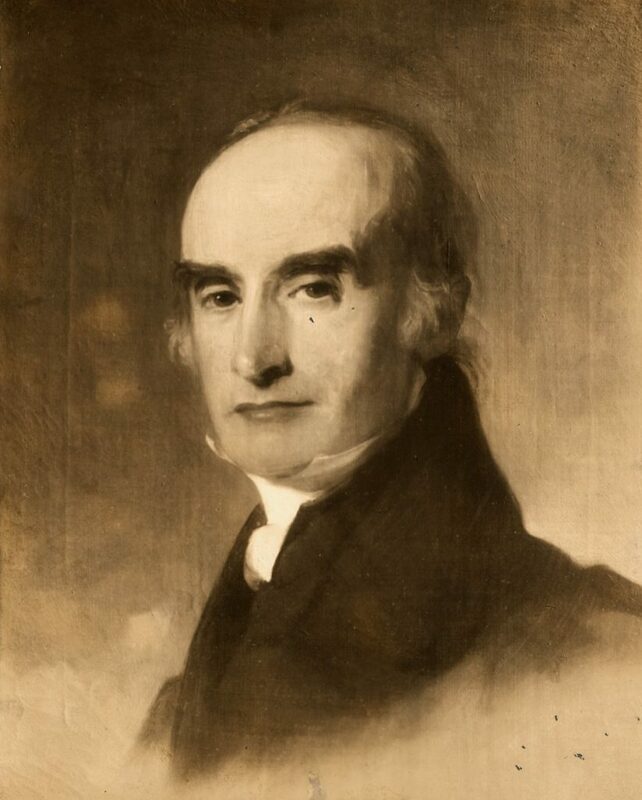 Joseph Hopkinson was born in Philadelphia, the son of Francis Hopkinson, signer of the Declaration of Independence and a member of Penn’s first graduating class. After graduating from the University of the State of Pennsylvania, as Penn was named at that time, Joseph read the law with William Rawle and James Wilson before being admitted to the bar in 1791. Once he began his practice of law, Hopkinson established his legal reputation in some of the most famous trials of the time. In 1795 he defended the men charged with treason in their rebellion against a federal whiskey tax; in 1799 he successfully represented Dr. Benjamin Rush in a libel suit against journalist William Cobbett; and in 1804 he was also successful in defending Supreme Court Justice Samuel Chase in his impeachment trial. He ran for Congress as a Federalist and served two terms in the House of Representatives, from 1814 to 1819. After that he returned to private practice, in Bordentown, New Jersey, and then in Philadelphia. In 1819, Hopkinson argued several landmark constitutional cases before the United States Supreme Court, including Dartmouth College v. Woodward, Sturges v. Crowninshield, and McCulloch v. Maryland. In 1828 he was appointed a federal district judge for the Eastern District of Pennsylvania, a post he held until his death. His most memorable legacy as a federal judge came in his 1833 opinion in Wheaton v. Peters, establishing the foundations of modern American copyright law. His political activities in later life included service as a New Jersey state legislator and as a member of Pennsylvania’s 1837 Constitutional Convention. His civic and cultural activities included service as president of the Pennsylvania Academy of Fine Arts and as vice president of the American Philosophical Society. While studying law as a young man, Joseph Hopkinson served as Secretary to the Trustees of the University of the State of Pennsylvania (which shortly thereafter became the University of Pennsylvania). He later served twice, from 1806-1819 and from 1822-1842, as a trustee of the University of Pennsylvania.